The more weight loss shakes and smoothies you take per day, the less food that you will need, and the more weight you will lose. However, additional factors need to be taken into consideration. First, weight loss goals are different for every individual who joins the Factor4 Health Club. 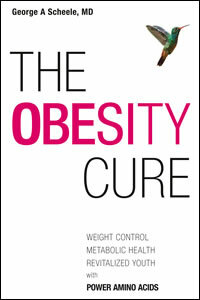 Second, metabolic rates vary according to age, gender, genetic profiles and exercise levels. The strategy at the first level of commitment is to take Factor4 power shakes in lieu of snacks to block excess intake of carbohydrate rich snacks, including candy, chips, pastries and ice cream. Factor4 works immediately to block food cravings, hunger pangs, famished states and eating binges. Factor4 should be taken at least twice daily in this program, which will allow calories to be reduced to 1500 or less without hunger. 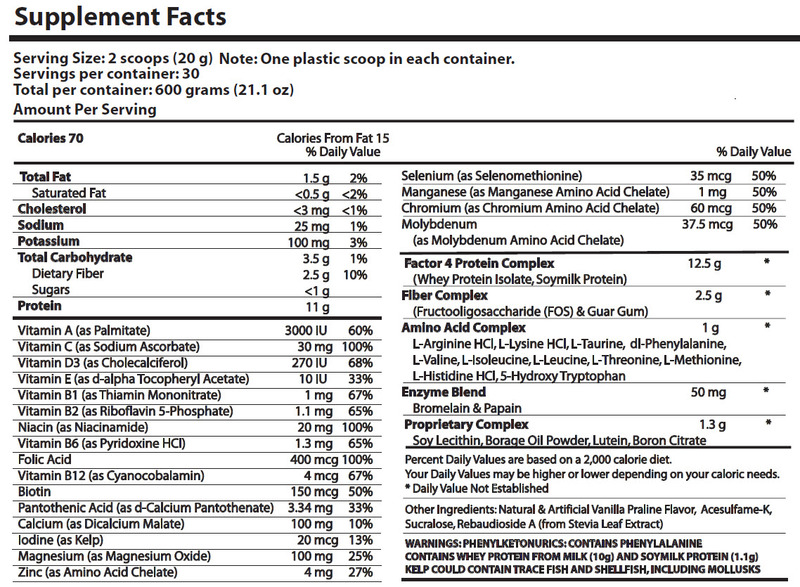 The strategy at the second level of commitment includes taking Factor4 power shakes prior to or with meals to minimize food intake with portion control. 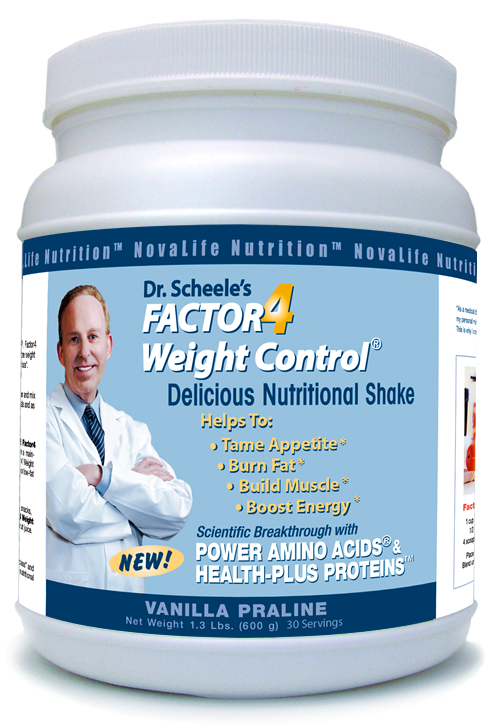 Thus, Factor4™ allows individuals to eat half meals that reduce the number of calories ingested throughout the day without suffering from hunger attacks. Factor4™ should be taken at least 2 to 3 times per day in this program, which will allow calories to be reduced to 1200 or less without hunger. The strategy at the third level of commitment includes taking Factor4 power shakes and smoothies as meal replacements once or twice daily to reduce the number of calories ingested throughout the day even further. Dinner may consist of a source of protein (fish, chicken or lean beef) and two vegetables (colored or leafy). The essential nutrients in Factor4™ keep the body energized and satisfied without the consumption of food calories. Factor4™ should be taken at least 3 to 4 times per day in this program, which will allow calories to be reduced to 1000 or less without hunger. The strategy at the fourth level of commitment introduces the concept that large men and women need to increase the size of Factor4 shakes and smoothies according to their body weight in the table below. Double shakes and smoothies work particularly well in large people who desire to lose challenging amounts of body fat. Start the day with a large Factor4 smoothie with added fruit or vegetables. Sip on double shakes at home or work throughout the day and during the evening or night. Keep them semi-chilled with ice cubes or by storing them in a refrigerator. Achieve variety in your double shakes and smoothies by following our Factor4 recipes. One meal is permitted with a lean protein source (fish or chicken) and two vegetables (colored or leafy). All participants are surprised at how good their bodies feel and how well they sleep during “boot camp” at power level #4. Most marvel at the complete absence of hunger on fruits, vegetables and Factor4. That is the marvelous power of Factor4! Factor4 contains all the vitamins, minerals and micronutrients together with fructo-oligosaccharides that are favored by probiotic organisms in the large intestine. However, make sure you take omega-3 essential fatty acids (5-6 soft gel capsules per day) and a rich source of fiber like rye crisp crackers available in health food stores. Once excess weight loss has been achieved, it is possible for individuals to move down the power chain to a lower value. For example, if someone has selected power level #4 to lose 80 pounds of weight over a 6-9 month period, they may be able to move down the power chain to power level #3, then power level #2 and finally to power level #1 to maintain sustained weight control. 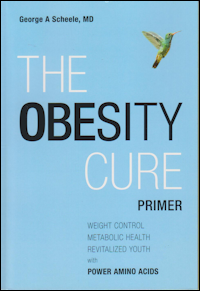 Naturally, if the individual begins to gain excessive weight again, they can move up the power chain to levels #2, #3 or #4 to block further weight gain, reverse the trend in body weight shifts and again achieve weight loss health. The real secret of Factor4 Weight Control® is that it contains the essential nutrients (power amino acids®, vitamins, minerals and micronutrients) that suppress appetite and reset metabolic pathways so they optimize fat-burning metabolism without resorting to starvation mechanisms that harm the body by destroying vital organs and muscle tissues that are necessary for optimal health. 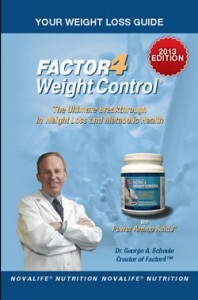 With the ability of individuals to move up and down the Factor4 power chain, replacing one power level strategy with another to offset unwanted shifts in body weight, Factor4 Weight Control® can be used by anyone to regulate their body weight without the catabolic (destructive) effects of popular diets and weight loss gimmicks on metabolic health.